German-born Markus Schulz emigrated to the US with his family at an early age and started making music in the beginning of the 90’s. His first release, Plastik Traxx Vol.01 (together with CL. McSpadden) was relesaed in 1994 but it wasn’t until 1998 and the release of You Won’t See Me Cry that got international response. The release, first released in 1998 on Plastik Records and later in 2000 licensed to UK label Eve Records. While releasing tracks under his real name, Markus also released some really awesome material under the names Dakota, Himmel, Mikulas, Clinch & Dino. This article will be focused mostly on releases under his own name aswell as his darker, more progressive side, Dakota. Under the early years, Markus released 3 Dakota-singles, Swirl (1999), Lost In Brixton (2002) and Frozen Time (2002) but the main focus on Dakota came in 2009 with the album Thought Become Things which spawned 7 singles. But we´ll get to that abit later. After the success of You Won’t See Me Cry came a break where he focused on Dakota and it wasn’t until 2005 that the second single, First Time (with singer Anita Kelsey) came out. Under 2003 and 2004 Markus Schulz co-produced 3 tracks under Markus Schulz presents Elevation. The first one, Clear Blue is one of my alltime-classics, especially the Intro Mix. The progressive monster made a huge impact on me and most of the world. It was also remade with vocals by Justine Suissa under the name Somewhere (Clear Blue). The second single, Largo is another progressive monster which uses most of the elements that made Clear Blue great. The third track was Somewhere (Clear Blue) with Justine Suissa on vocals. I love the track but prefer the non-vocal version. In 2004 Somewhere/Clear Blue got signed to A State Of Trance, a label owned by Armin Van Buuren which Markus met after being signed to the same agency, David Lewis productions agency. Armin asked Markus to start a record-series with progressive tracks so Markus started on his compliation series, Coldharbour Selections. 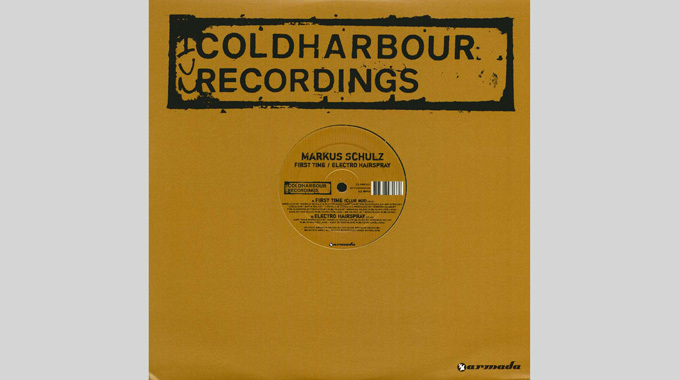 It was first after releasing volume 1-3 on Electronic Elements that Markus set up his own label, Coldharbour Recordings which is a sister-label to Armin Van Buuren’s Armada Music. The name Coldharbour comes from his old production-base in London’s Coldharbour Lane. The new label made a huge impact on the progressive scene, especially with signed artists like Santiago Nino, Rex Mundi, Mark Otten & Niklas Harding just to name a few. The single, First Time with singer Anita Kelsey from 2005 was the first of his own tracks to be signed to the label. The same year also saw Markus first album, Without You Near which was followed by the track with the same name. The track was a collaboration between Markus, Departure and Gabriel & Dresden. The 2006 single, Never Be The Same Again (with singer Carrie Skipper) was the next own release which was followed by the non-vocal tracks Fly To Colors in 2007 and The New World in 2008. The New World is a really pumping track which I really love. All tracks was featured on the second album, Progression from 2007. It was also in 2007 that Markus started his weekly radio show, Global DJ Broadcast. 2008 also saw the release of Perfect (with singer Dauby) aswell as the fabulous collaboration with Andy Moor with Daydream. I really love the track, especially the Benya remix. The next collaboration with Departure came the same year with Cause You Know which had an amazing Nic Chagall remix. 2009 only saw the single, Do You Dream as all focus was on Markus’s alter ego, Dakota. The Dakota-album, Thought Become Things held 7 singles. What do you say about Johnny The Fox, Chinook, Sin City, Mr Cappuccino, Steel Libido, Koolhaus & Roxy’84. All major tracks on the darker, deeper progressive side of Markus. Dakota is like Markus dark and sinister twin! The 2010 album, Do You Dream focused on the lighter side of Markus again. With some major singles as Dark Heart Waiting (with singer Khaz), the remake of Cass & Slide’s old track, Perception (with vocals by Justine Suissa) and Not The Same (with Jennifer Rene). With the original to Perception being an all-time favourite, the new remake ain’t half bad. I remember hearing Markus playing his version at a club and I got major goosebumps. The version he played was the non vocal version. I really love Justine Suissa’s voice but it’s nothing compared to the original vocal version by Cass & Slide and singer Naimee Coleman. In 2011, Markus released the second Dakota-album, Thoughts Become Things II which so far has spawned the singles Sinners, Saints/In A Green Valley, Katowice and Sleepwalkers. 2012 has some major tracks stored up for us. Both Markus Schulz and Dennis Shepherd – Go and Markus Schulz & Ferry Corsten – Loops & Things will be released later this summer. Loops & Things is a remake of Jens’s old track from 1994 which I really love. The new remake is slower, more to the progressive side of trance and will be a huge hit! As a DJ, Markus has gained major crowds and played at Ultra Music Festival, Amsterdam Dance Event, Nature One, Dance Valley, Love Parade, Global Gathering & Trance Energy just to name a few. He’s been holding a top 10-position on the established DJ Mag top 100 the last few years which itself is a sign that people love what he do. Markus has been active in the music business since 2004 and spawned some major tracks/remixes over the years. Since 2004 and onwards his name has been synonymous with quality releases and remixes. My guess is that Markus and his label, Coldharbour will continue releasing quality tracks for many years to come, just listen to the new collaboration with Ferry Corsten for Loops & Things. Markus future looks bright and sounds really awesome!